This time of year, most of us have a holiday shopping list so we remember all the gifts we need to purchase for our family and friends. Those of us who are entertaining over the next month will also most likely create a shopping list to gather the traditional and maybe untraditional food for a Christmas feast or a Chanukah party. It’s the season of lists for anyone who needs to stay on top of this busy season’s activities. But what about work? In order to finish this year with a bang, what needs to happen? How many of you also create a list of things that must be accomplished before the end of the year? For many companies its crunch time as the fiscal year ends. Therefore, we are in a constant tizzy trying to keep up with everything that seems to be on our plate this time of year. Make sure you sit down with your boss and prioritize what needs to be done in the next month. Besides all the busy work, where are the opportunities to get recognized for this year’s accomplishments? What opportunities are there to leverage some of your fabulous results and let others know about them? It’s time to create your own list for recognition. What was your major contribution this year? How does this achievement benefit the business? Your team? Your boss? Have you articulated this to key stakeholders in the company? What skills have improved? Ask your boss for feedback. What extra work/projects did you take on? What was the benefit for the business? How have you empowered others by mentoring/coaching/delegating? When your team is successful it certainly shines a light on your ability to help them grow professionally. Prepare your own annual performance review highlighting how the work you are doing for your company has helped your company achieve their goals. Make sure you share your self review with your boss! Set goals for professional growth for 2015. With so much on our plates this time of year, I’m a great believer in lists. 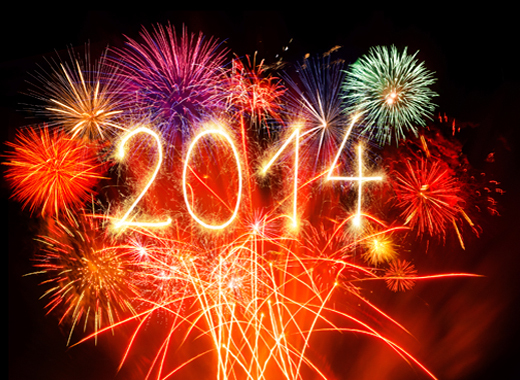 Creating and communicating your accomplishments helps position you to finish 2014 with a bang.